Sometimes, we are faced with having to extract a tooth. 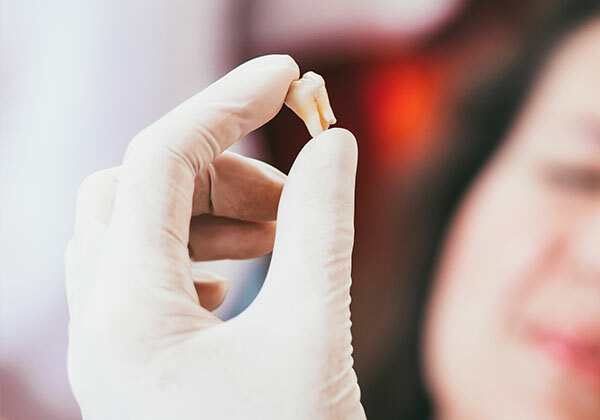 Before you decide to extract your tooth, make sure you’ve been told about your options just in case you would like plan for a replacement tooth for the future. Most people will choose to replace a missing tooth at some point in time in the future with a denture, bridge or an implant. After a tooth extraction, the jaw bone changes as it heals. It is common to see approximately 30-50% of the bone jaw height and width are reduced within the first 3-6 months. The bone loss can result in structural change in the face and soft tissues. This may affect your tooth restorative procedures in the future, as dentures, bridges and implants require good jaw bone support for it to be successful in the long run. One way we can help slow down and minimise this change is to do a “socket preservation” procedure at the time of extraction. Once the tooth is extracted, the tooth socket is filled with a bone grafting material, and covered with a membrane. The body then heals over time naturally, and the jaw bone is preserved for future tooth replacement options. Ask us today for further details.